No more looking for your tub of Big Wipes! 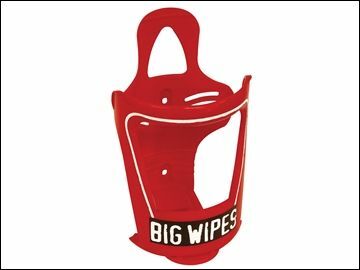 (Holds any 80 Big Wipes tub) Simply push your Big Wipes tub into bracket tighten, and your ready to use. Keep your Big Wipes close to hand. Allows One Handed dispensing (makes messy jobs easier) Can be mounted in a van or wall (perfect for garages or workshops) Pre-drilled holes for screw fixing. Simply push your Big Wipes tub into bracket tighten, and your ready to use. Keep your Big Wipes close to hand. Pre-drilled holes for screw fixing.